Traditional Spanish Paella With Seafood And Chicken. Prepared In Wook. Top View. Фотография, картинки, изображения и сток-фотография без роялти. Image 62540963. 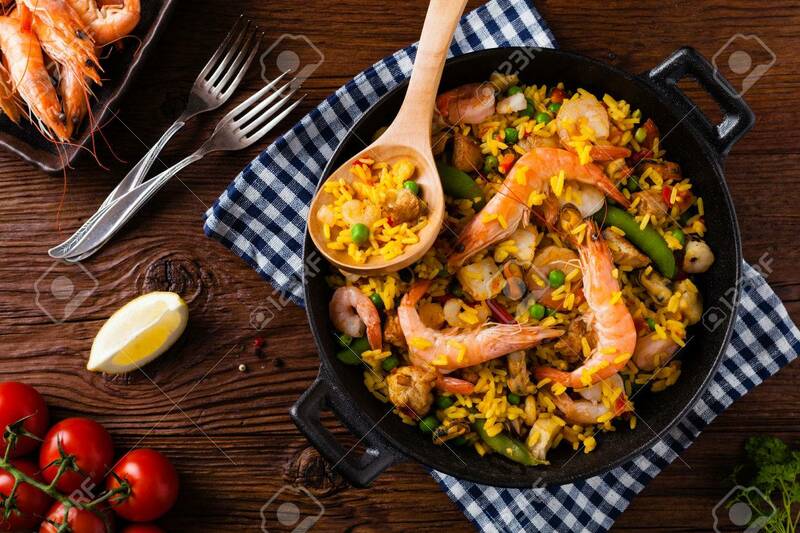 Фото со стока - Traditional Spanish paella with seafood and chicken. Prepared in wook. Top view. Traditional Spanish paella with seafood and chicken. Prepared in wook. Top view.